Okami on the Wii has not been released in Japan yet. It will be this October. 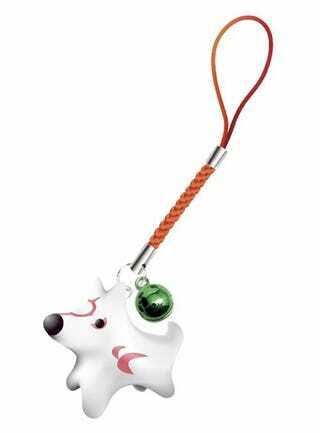 Those who order the game via Capcom's online store will get this adorable, ceramic cell phone strap. First come, first served.